In yet another incident of buyers taking builders head on, Greater Noida Industrial Authority (GNIDA) has ordered North-based developer Supertech to seal 1,009 flats and villas at its project Czar following complaints from residents. The project is located in Sector Omicron 1, Greater Noida, and offers 2-, 3- and 4-bedroom luxury units and penthouses besides villas. The residents have alleged that the developer violated sanctioned construction plan and built around 1,853 units, well over the permission to come up with 844 units on the 20-acre township project. The development was first reported by The Times of India on Thursday. The residents have sharpened their attack on the developer and even gheraoed one of its directors following the report. An email query sent to Supertech to understand more on the development did not immediately elicit a response. “We constructed the additional units after purchasing additional floor area ratio (FAR) from GNIDA in December 2014. The revised building plan to accommodate the additional units has also been submitted to GNIDA. These extra units are within the permissible limit and are covered under the UP government's policy for purchasing FAR,” the report quoted RK Arora, managing director of Supertech. However, GNIDA said sanctions could not be sought in retrospect. "Construction cannot be carried out first and sanctions applied for later. 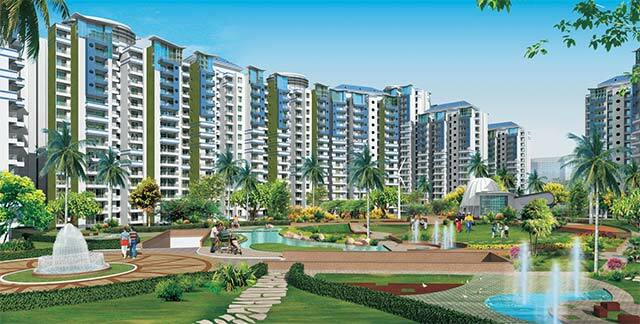 We checked and discovered that Supertech had built a total of 1,853 residential units. We issued a notice to the company immediately to seal Tower 4 in Block C. In Tower Nicolas, permission was granted for 52 units but the company has built 92 units, which is in violation of the building plan,” the report quoted PC Gupta, additional CEO of GNIDA. "Units in Towers 5 and 6 and row houses are not sanctioned either. A temple has also been built, which we have asked the developer to raze. This is a violation of the Uttar Pradesh Apartment Act," he added. This comes soon after the developer ran into trouble with another project in Delhi-NCR. In February last year, the Supreme Court had directed Supertech to give back money to flat owners who had sought refund of their investments, after its 40-storey residential twin towers Apex and Ceyane in Noida were directed to be demolished by the Allahabad High Court. Considered one of the bigger private developers in North, its projects span across residential, commercial and retail with a major geographical focus on Delhi-NCR markets. Homes buyers are increasingly taking on developers to fight malpractices, violations and construction delays in housing projects. Recently, the captain of Indian cricket team MS Dhoni had to resign as the brand ambassador of North-based Amrapali after buyers started tagging him in an online protest against the realtor. The promoters of Unitech also faced the heat recently when two buyers dragged them to court following non-payment of refund amount after major delays in their housing project. Home buyers have also started to use newer ways to protest to get their voices heard. The recently constituted real estate regulator comes as a much-needed relief for the industry as it is expected to bring in transparency and accountability. The new law makes it compulsory for developers to register their projects - with all the construction details - with the regulator before launching it for buyers. It also imposes several other measures like escrow account and transaction on the basis of carpet area to bring end to woes of buyers.